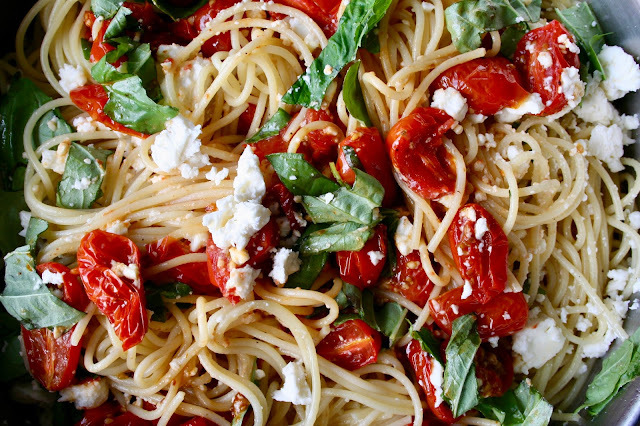 Roasted Tomato and Garlic Pasta with Basil and Feta - This PASTA!!! It's easily one of my favorite creations this year. So many fresh and amazing ingredients make this dish light and full of flavor! I hope you try it! 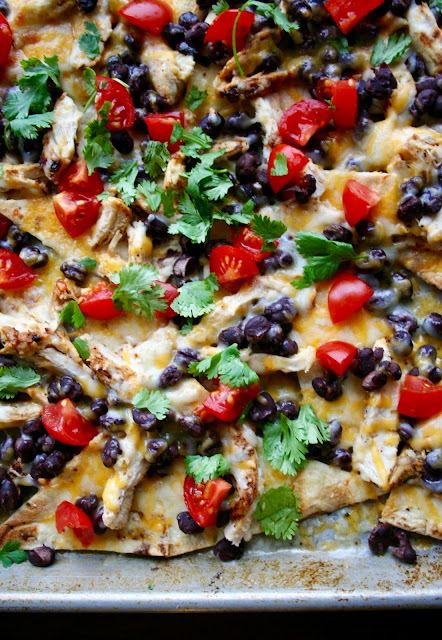 Zesty Lime Chicken Nachos - While I'm already a huge fan of nachos, the lime chicken in these takes it over the top! I also love using homemade tortilla chips so they're not as greasy. So much flavor you guys! 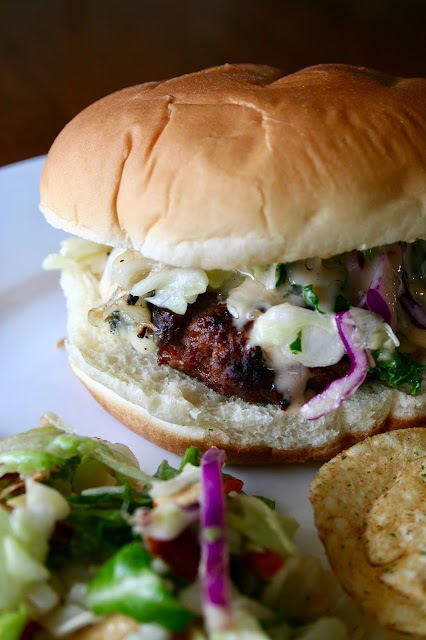 Korean Burger with Sweet Chili Lime Mayo - This is easily the best burger I've ever made! All of the flavors compliment each other so well and it's simply incredible. 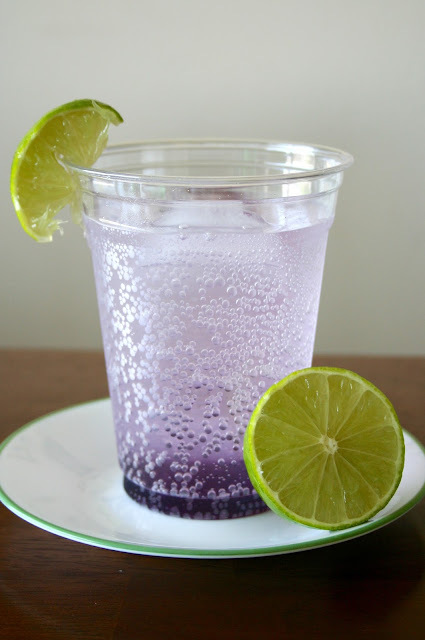 You have to try it! Quick and Easy Pizza Dough - This dough has been life changing for me. 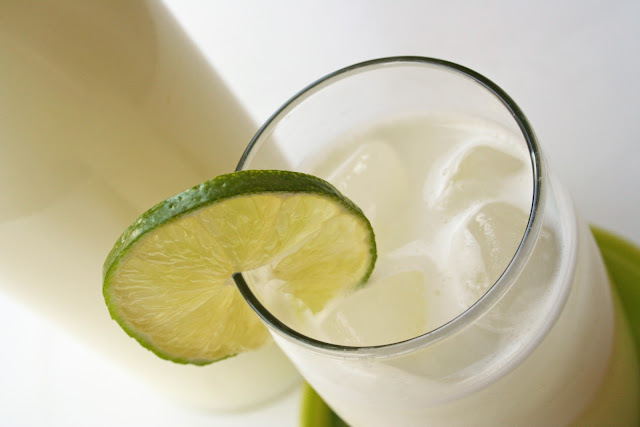 I have used the same old recipe for years and this one is so much better! It's light, fluffy and comes together in no time at all. 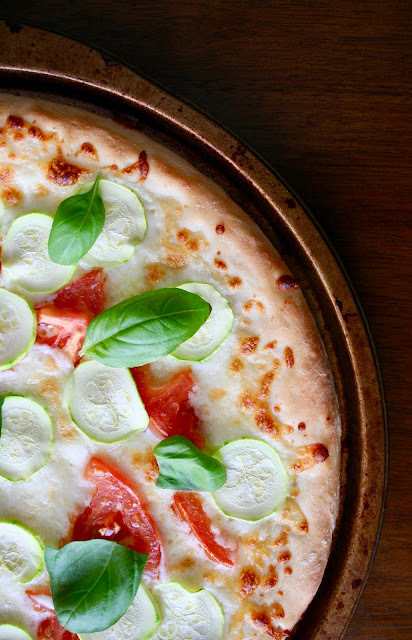 If you're a pizza lover like me, you need this dough! 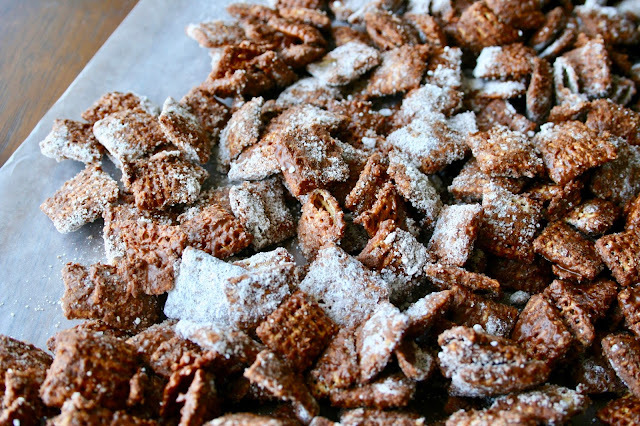 Chocolatey Churro Chex Mix - I love coming up with new Chex mix concoctions and this was one for the books! The addition of cinnamon chips in the mix pairs perfectly with the chocolate. It's so addicting! 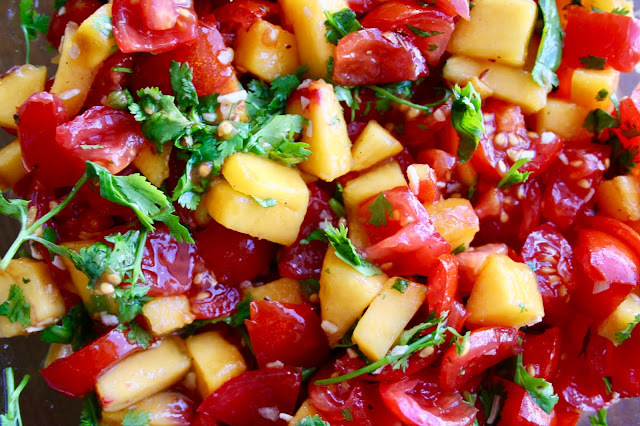 Fresh Peach and Tomato Salsa - This salsa you guys...it's one of the best I've ever had! In my opinion it should only be made in the summer when peaches and tomatoes are in their prime because it makes ALL the difference. So save this recipe for later! 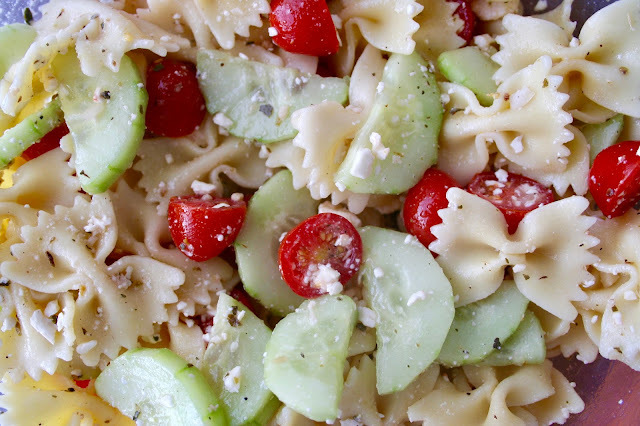 Greek Pasta Salad - This recipe is easily the most made at our house because we're obsessed with it! It's so light and flavorful and I honestly could never get sick of it. It's also perfect for get togethers! 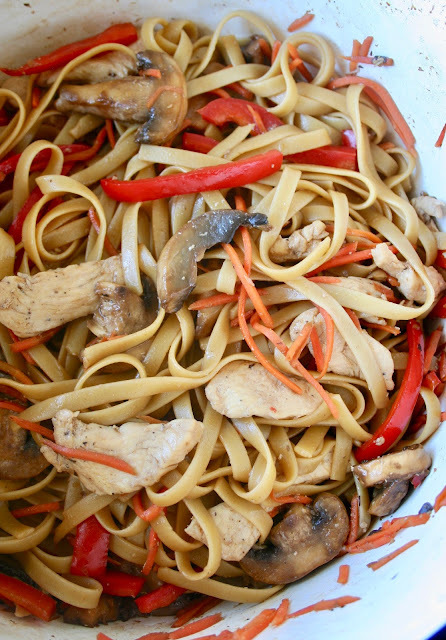 Sesame Chicken Noodle Stir-Fry - I love, love, love this recipe! I make it all the time because it's quick, easy and so flavorful! You can switch out or add any veggies you like to cater to taste and I guarantee you'll love it. 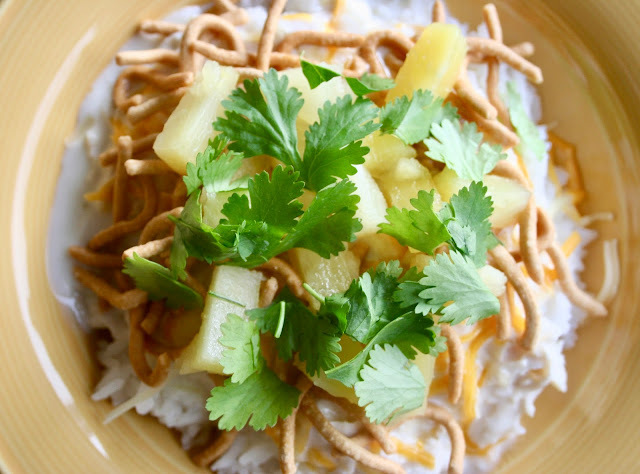 Creamy Coconut Hawaiian Haystacks - While I always liked the original Hawaiian Haystack recipe, I didn't love the ingredients. This is a lighter and more tropical tasting Hawaiian Haystack. It's so good and your family will love it! 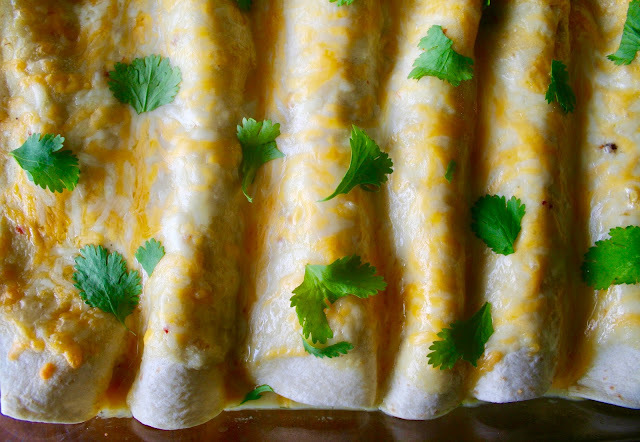 Honey Lime Chicken Enchiladas - These are easily the best enchiladas I have ever made! The chicken is what makes them incredible and I'm sure you'd be hard-pressed to find anyone that doesn't think they're delicious. Thanks for stopping by and for more of my favorites, check out these posts!